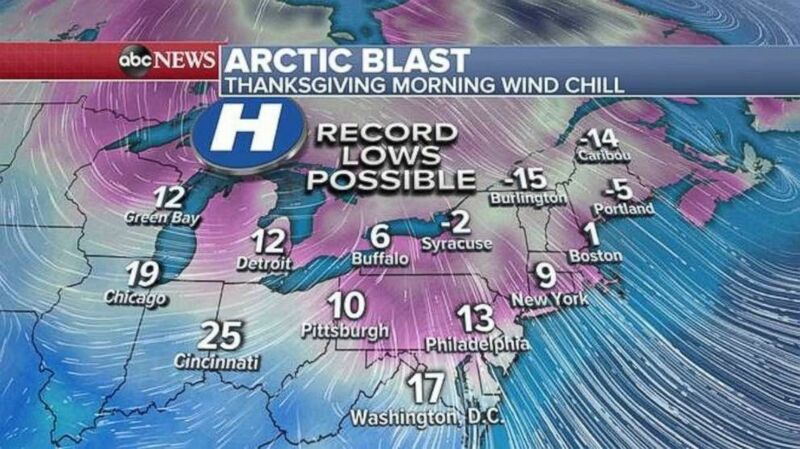 Record cold is headed to the Northeast for Thanksgiving. It could be the chilliest Turkey Day on record for New York and Boston, with wind chills below zero in some areas on Thanksgiving morning. 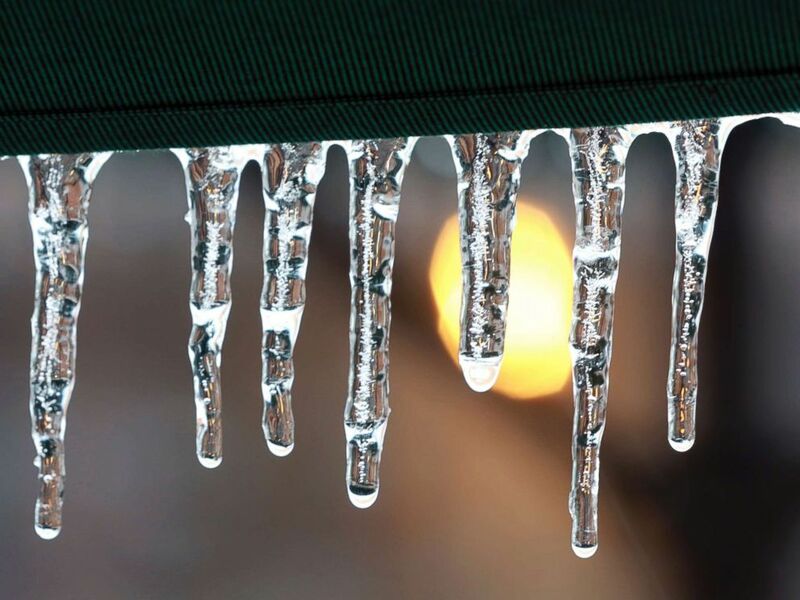 Icicles form on a retail umbrella as rain freezes on surfaces throughout the morning in Blacksburg, Va., Nov. 15 2018. — A minor clipper system is moving from the Great Lakes to the Northeast Monday night into Tuesday morning, which could bring two to six inches of snow to parts of New England, as well as rain for the coast. A man and a woman cross South Street at Park Square in Pittsfield, Mass., Nov. 16, 2018. — No major storms are in the forecast for Thanksgiving. 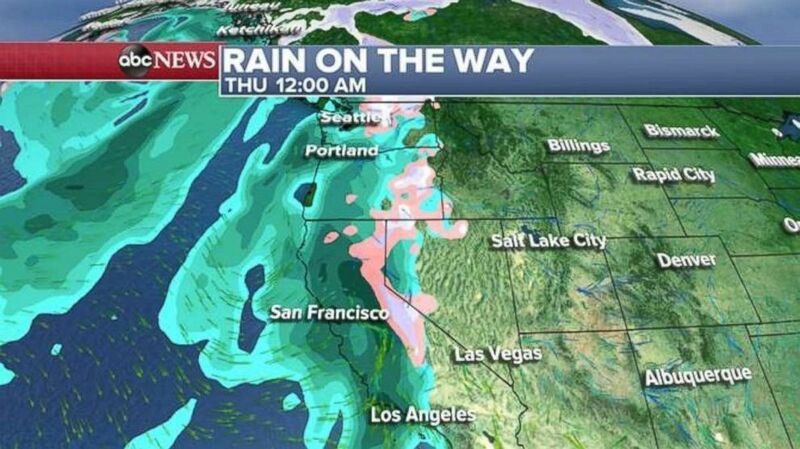 — Rain is headed to the West Coast Wednesday night and into Thursday, which will provide some relief to firefighters battling the deadly wildfires. The fire-scorched West Coast finally should get some rain late Wednesday or early Thursday. — On Thanksgiving many Northeast residents could wake up to temperatures in the teens or single digits. — Thursday is likely to be the coldest Thanksgiving along the East Coast since 1996. 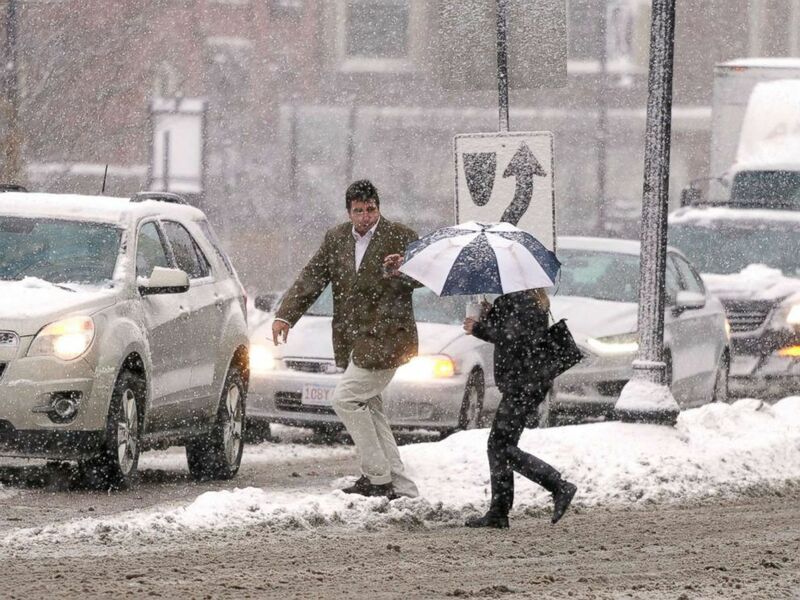 — Boston could experience its coldest Thanksgiving on record since 1901. Record lows are possible on Thanksgiving. If you are bundling up to hit the road for Thanksgiving, be mindful of the dangers on a week when so many are traveling. The National Safety Council projects that 433 people may be killed and another 49,400 may be seriously hurt in car accidents over the Thanksgiving holiday, which runs from Wednesday night to Sunday night. Last year, Thanksgiving was the second deadliest holiday on the roads, the safety council said. The deadliest holiday was the Fourth of July.